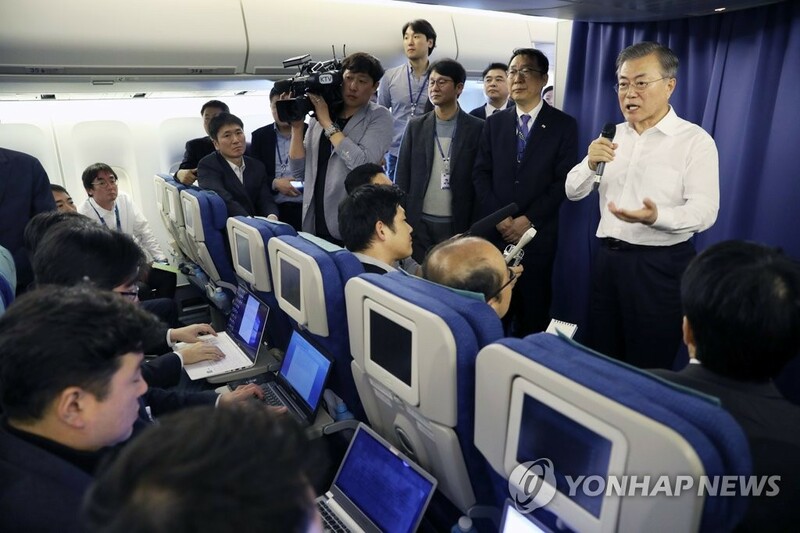 AIR FORCE ONE, Dec. 3 (Yonhap) -- U.S. President Donald Trump is ready to give everything he promised to North Korea should the communist state faithfully implement its denuclearization steps, South Korean President Moon Jae-in has said. 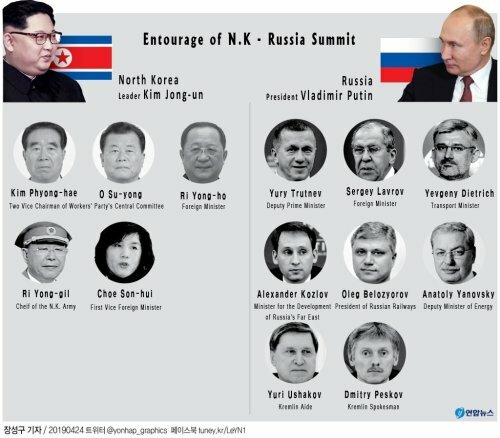 Trump and Kim held their first-ever meeting in June, in which Kim committed to the complete denuclearization of his country in exchange for security guarantees from the U.S.
"Corresponding measures may not only mean a reduction or removal of sanctions, but may be a delay or reduction of a South Korea-U.S. military exercise, humanitarian assistance or even non-political exchanges, such as sports and cultural exchanges," said Moon. 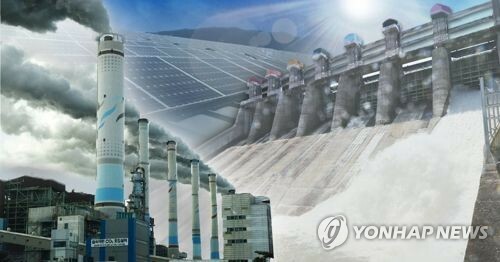 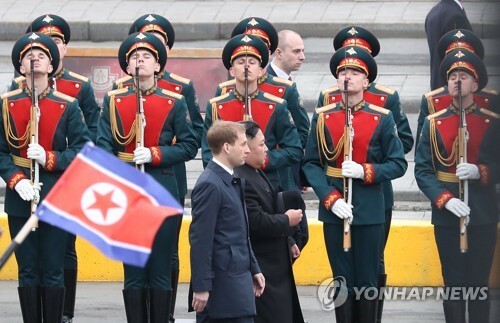 However, many have suspected the fourth Moon-Kim summit may be delayed at least until after the second North Korea-U.S. summit, widely expected to be held early next year. 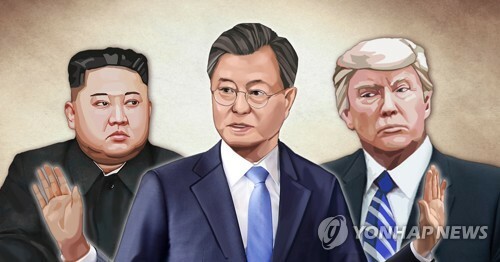 Moon said he and Trump have not only agreed on the possibility of an inter-Korean summit before the proposed U.S.-North Korea summit, but also that Kim's trip to Seoul would help create fresh momentum for efforts to denuclearize the Korean Peninsula. 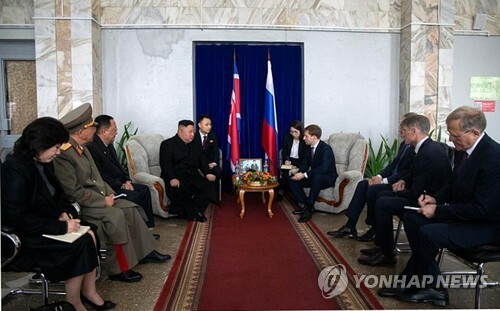 "There had been concerns that his reciprocal visit before a summit or high-level talks between the North and the U.S. may act as a strain, but I can tell you such concerns have disappeared after my meeting with President Trump," he added. 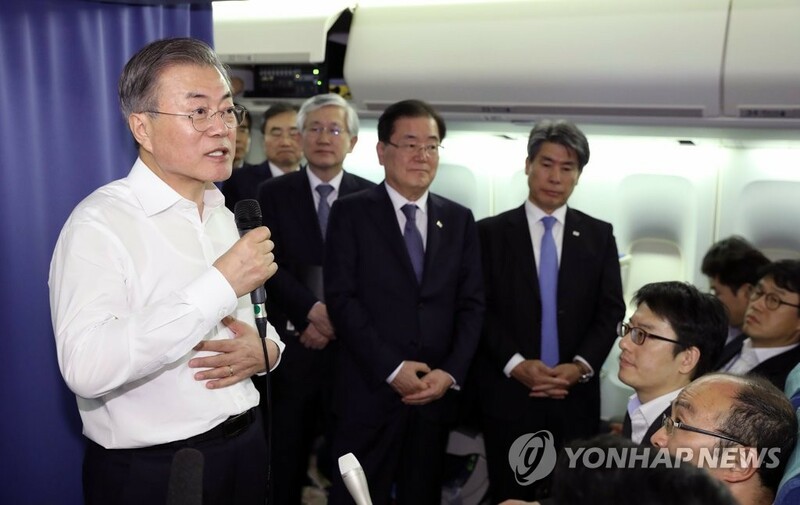 Still, the South Korean president emphasized the need to hold a second U.S.-North Korea summit at an early date, noting the North's denuclearization process must ultimately be discussed between the two. 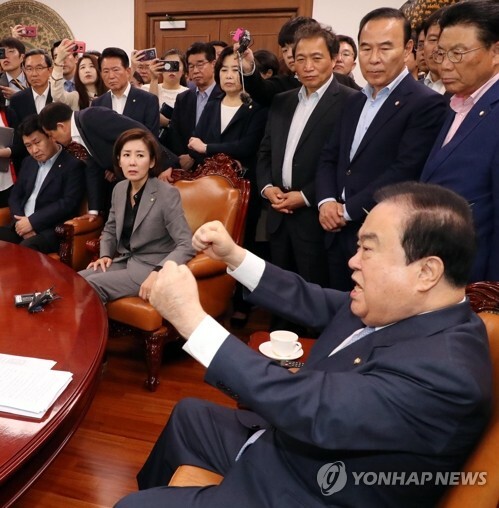 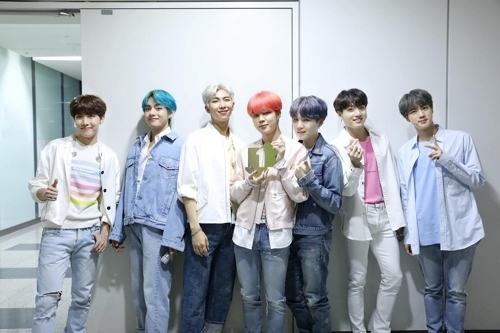 "We do try to play a role by offering our views and trying to mediate when negotiation hits a stumbling block, but I believe it is an issue that basically needs to be resolved between the North and the U.S.," Moon said. 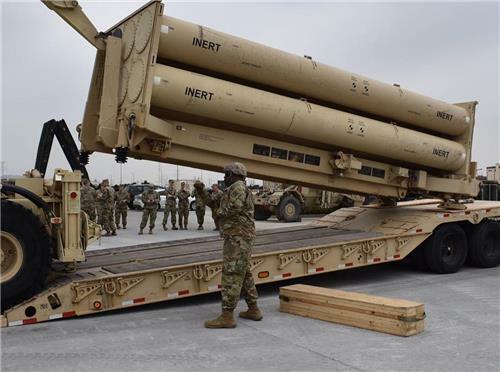 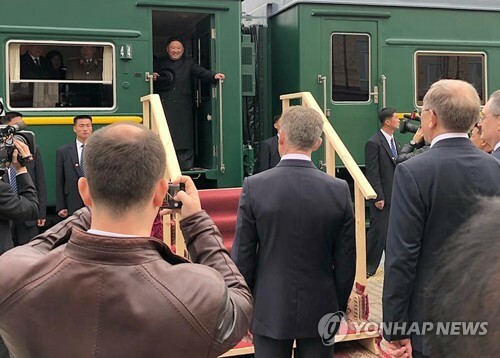 He also dismissed any possible discord between Seoul and Washington, saying the allies have "no difference whatsoever" in their joint efforts to completely denuclearize the Korean Peninsula.